Yes, Mia (Noemi Gonzalez) acted recklessly once again on ‘The Young and the Restless’. 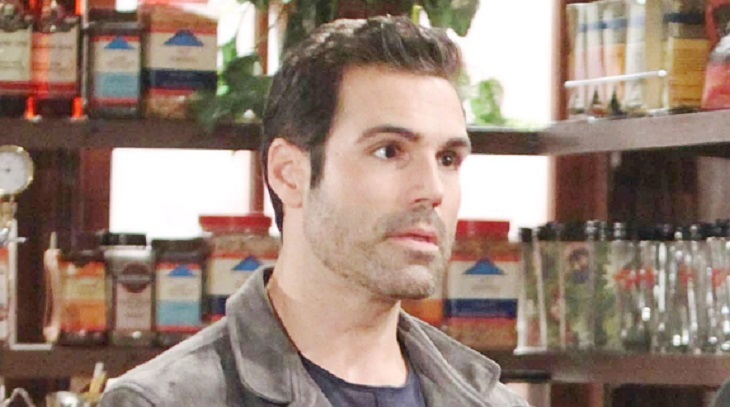 The provoked conflict with Abby (Melissa Ordway) at the Genoa City Athletic Club will push Rey (Jordi Vilasuso) to the edge. But whenever Sharon’s (Sharon Case) secret is exposed, Detective Rosales’ focus will shift from personal to business matters. Rey has been working hard on the J.T. (Thad Luckinbill) case. He, like Christine (Lauralee Bell), believe that Victor (Eric Braeden) revealed himself as being guilty of J.T.’s murder on the received digital recording that Sharon provided to him. Rey and Christine are both far off base and will eventually find egg all over their faces. In this deeply stretched storyline’s meantime, Rey continues to face his wife’s inability to control herself where Arturo (Jason Canela) is concerned. She just can’t accept that Rey’s brother has moved on from her and wants to marry Abby. Both women come to a hair-pulling conflict at the GCAC this week, which will roil her husband and again point out that Mia’s mixed feelings still exist. Mia was recently told by Ray that if she ever betrayed his trust again that they were done. That bit of dialogue served to comfort fans who were concerned that Vilasuso’s character was naive, when he’s not. Sharon will also come to learn the same where their business relationship is concerned. Sharon has been withholding the truth from Rey for months, just like Mia has been concealing what she really feels for Arturo. Rey will be shocked, but also disappointed when Sharon’s ongoing membership in the coverup crew is revealed. That plot point will be presented, along with many others, as the climax to the J.T. happens. When Mia’s feelings about his brother are confronted, Rey could opt to sever ties with Mia and not move onto Sharon, at least at first. For her part, Case’s character has been protecting her loved ones, whereas Mia’s split loyalties represent a far different and more personal betrayal. However, in both instances each lady has been withholding the truth from Rey, which will impact the decisions he makes.